Open enrollment refers to periods of time when patients can enroll in Medicare Parts A, B, C or D without penalty. Medicare Parts A and B come from the government, while Parts C and D come from private ensurers and expand the government-sponsored coverage. Enrollment periods vary depending on the type of Medicare plan. The U.S. government offers Medicare Parts A and B to those 65 and older or younger people with a disability. Parts A and B combine to offer basic doctor and hospital coverage for patients. Qualifying individuals have a seven-month window for open enrollment that begins three months before the birthday month then three months after that month. Coverage begins on the first day of the month after signing up. A general open enrollment period also exists for those who qualify but failed to sign up before the end of the personal deadline. The general open enrollment starts Jan. 7 and ends March 31, with coverage to begin on July 1. Special enrollment periods exist for those who have current or recent employer-sponsored healthcare but also qualify for Medicare Parts A and B. Individuals who have insurance coverage through work or a spouse's work may enroll in Part A or B at any time once becoming eligible for Medicare. Those who have lost employer coverage have eight months from the time the plan's termination to sign up for Medicare. Medicare Part C, also known as Medicare Advantage, comes from private insurers with government backing who essentially bundle Parts A and B with some supplemental services that can include prescription drug coverage. Personal enrollment periods follow the same rules as those of Parts A and B regarding the seven-month window. Patients who already have Part A and signed up for B during its general open enrollment period can signup for Part C between April 1 and June 30. This period does not apply to patients having Part B but not Part A. Medicare Advantage general enrollment begins Oct. 15 and ends Dec. 7. A disenrollment period also exists from Jan. 1 to Feb. 14. The latter period differs only in the fact that only plan changes can happen -- such as switching Advantage plans or dropping back down to regular Medicare -- rather than the combination of enrollment and changes available during general enrollment. 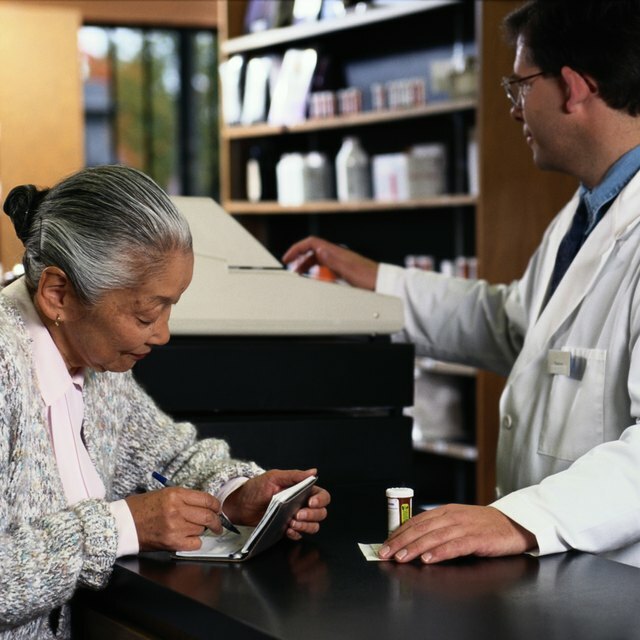 Private insurers offer Medicare Part D plans as standalone prescription drug coverage. Part D follows the seven-month window rule for the newly Medicare-eligible. Part D differs from Part C in that this plan does not allow a special enrollment period for those with Part A who enrolled during Part B's general enrollment. Part D instead has an enrollment period for patients with Part B but not Part A, and that period runs from April 1 to June 30. General open enrollment for Part D begins Oct. 15 and ends Dec. 7. Part D does not have an independent disenrollment period. Medicare.gov: When can I Sign up for Part A & Part B?